One of the key measures of Facebook success is the number of likes you get on your business page. More Facebook likes make you appear popular to people who are just discovering your brand. And having more followers gives you a small bit of Facebook organic reach. However, it’s not just about the quantity of Facebook Likes, it’s about the quality. You need to attract the right audience and engage them in ways that align to your business goals. Different brands will have different goals, such as driving in-store sales, increasing online sales, launching a new product, building awareness, or promoting a mobile app. You have to first build an audience on Facebook, then drive traffic to your website, then turn that traffic into qualified leads, and then convert those leads into customers. Having a big number of Facebook fans on your business pages is very important for credibility and social promotion purposes. In this article I am sharing the best ways to increase your Facebook page likes for free (plus some paid ways). Facebook contests and giveaways are the easiest and one of most effective ways to get people like your page. Businesses run Facebook giveaways and contests all the time to get build their audience and get more likes. Facebook giveaways are also great for increase awareness and getting people talking about your brand. Running a Facebook giveaway is easier with a giveaway building tool like Woorise. There are a lot of beautiful templates and options dedicated to Facebook to start from. Using Woorise app you can host your competition on your Facebook page with a single click. Like buttons and widgets included for unlimited combinations and great results. Keep in mind that you need to follow the Facebook giveaways and contests rules. To get the most of your Facebook giveaway or contest I have created a post with 10 Tips to Run a Successful Facebook Giveaway which definitely you need to check it. One of the most effective ways of getting more likes on Facebook is through using Facebook Ads. Although this method isn’t free is one of the best ways to get high quality and targeted likes. Creating a Facebook Like campaign is a simple and straightforward process. You simply need to create a Facebook Ads campaign with the goal of getting more Facebook Page likes. Since you will have the option to target your audience, the advertisement will be shown just to people, who are interested in what you want to sell or offer. Find people who are the right fit for your business using location, age and interest targeting. As a result, you will be able to generate genuine Facebook likes much faster. I know, it isn’t free but sometimes, it is worth the expense. Facebook users are more likely to interact with a page that already has many likes. This is a form of “social proof” that increases your credibility and trust between you and your prospects. 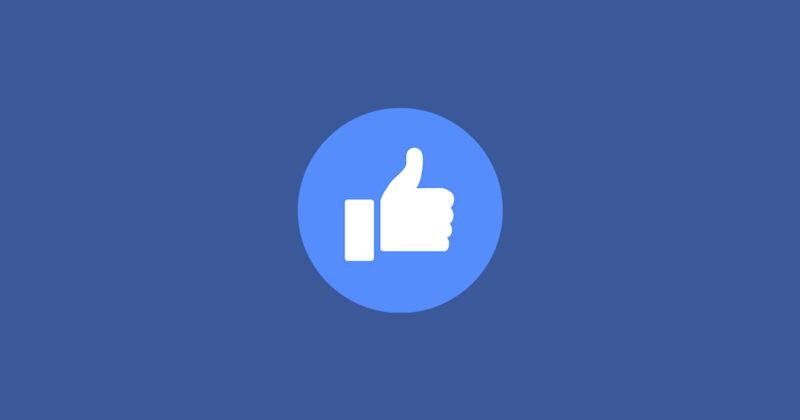 If your Facebook page is new with a few or zero likes the first thing you should do is invite all of your current Facebook friends to like the page. A simple way to do this is to send an email that contains the link to your Facebook page as well as a short personal message of your appreciation. Another way is by tagging relevant individuals. What relevant individual means is people, who are related to your product or service, and at the same time, have a large number of followers. This way, you are not only exposing your posts to people you know but also people, who are friends or followers of others. You can also take advantage of the “Invite Friends” feature on your Facebook page. This should give your page a quick boost regarding likes. It may not be much, but even a few likes can spark a massive social following in the future. Click on the 3-dots icon menu below your Facebook Page’s cover photo and select “Invite Friends”. Also you can invite people who like your posts to like your Facebook page. Simple click on the likes/reactions number you will find on every post and then click on the “Invite” button. There are also browser extensions to make your life easier. Use Facebook’s Page Plugin (formerly Like Box) on your website or blog. Add an exit popup to your website. Alternative you can add a top/welcome bar to show a “Like us on Facebook” message at the top of each page. Add a link to your Facebook page in your email signature. Link to your Facebook Page in your about section as a place of employment. Promote your page on your other social media accounts such as Instagram, Twitter, YouTube, LinkedIn and more. If you are the owner of multiple Facebook pages you can interlink your pages by liking one page with the other page, and vise versa. Add the “Like Us” icon on your business cards, flyers, in-store signs and other print material. Include a “Like us on Facebook” link on the “thank you” page of your site. Leave insightful comments (as your Facebook page) on other pages. By partnering with influencers, who have plenty of likes on their pages or accounts, you can drive their traffic to your page. A simple post or shout out with your name tagged on their page can make a huge difference. You can also arrange a partnership with a business in your niche. Agree to cross-promote posts or run campaigns together to help build up each other’s audiences. It’s important to post engaging, entertaining, and interesting content on your business Page. If you publish high quality, helpful, and relevant posts fans they’ll think of you as a valuable resource. By posting interesting, informative content that is relevant to your audience, will you be able to generate a huge number of likes organically. Try to post things that people will want to share with their friends, such as photos, videos, GIFS, contests, infographics and relevant articles. To continue growing steadily, you need to maintain an active, ongoing presence. Keep your content fresh, ask questions, answer questions, and participate in discussions with those posting on your page. Delivering value really comes into play with the content you create and share with your fans, and how you interact with them. Discounts & coupons are a great promotion that are sure to increase Facebook likes. Offer an incentive for people to like your page, such as a special offer, coupon, or something creative. Make this offer exclusive to fans of your page, so people will have to like it in order to reap the rewards. Use Facebook as a platform to share sales promotions and discounts. People love to get discounts and coupons, and once you’ve done it once, people will continue to check back with your page to look for more offers. Whether you create a Facebook group or join one managed by someone else, you can use groups to position yourself, find new customers and partners, promote your business, increase your social media followers and more. Facebook groups bring together individuals who share a common interests. When you join a Facebook group that’s made up of people who match your target customer, you’ll have multiple opportunities to improve awareness of yourself and your business by being helpful. Remember, Facebook Groups are communities—they need to be focused on what engages members. That means hold off on promoting yourself, your business, and links until you’ve earned the Group’s trust. For many people, Facebook Page will be the first place they go to find your business online. To grow your number of Facebook fans, every section of your page should include content that’s relevant, helpful and searchable. All of the content on your page will be indexed by search engines like Google helping you attract more followers to your page. Fill in every part of the “About” section of your Facebook Page with the most up-to-date and relevant info. Ensure your profile photo and cover photo are high quality images that are on-brand and encourages people to like your page. Include your opening hours, location and contact information, and a short description about your business. Keep in mind that there are both “short” and “long” descriptions available for Facebook pages. For the brief description, it is best to be straightforward. Introduce what you do, add in a CTA and then your website’s full URL. For the long description, provide a clear overview of your company, a link to your website, and all the other information that describes your business. Showing people that your Facebook Page is a reliable source of information about your business is a simple way to increase Facebook likes. Use Facebook Insights to find useful metrics on your Page performance. You can view metrics like reach, number of engaged users, engagement rate, and new Page likes. These metrics will help you understand what’s driving your likes and engagement, so that you can adjust your posts accordingly. You can also monitor the Facebook Pages of competitors or brands you admire for inspiration. Understanding the people who like your page – and the content that best resonates with them will help you shape your content strategy in the future, meaning you can optimize engagement and get more Facebook likes. All over Google’s search results there are hundreds of online portal offering big discounts for purchasing Facebook likes. Most such websites are selling bot generated likes (fake Facebook likes) and has no real value in the long term. Instead of buying cheap and fast likes from an unknown source, I would suggest you study on how to implement the Facebook advertisement and follow the tips of how to get more likes on this post. For the majority of businesses without a huge advertising budget or traditional distribution, increasing your Facebook Likes takes time. To have your brand recognized, you need to offer a ton of value to your target audience — be it through consistent updates or an all-out contest. Follow all or most of the tips in this post and you will see your Facebook likes increasing. Do you have any other ideas on how to increase Facebook likes? Share it with us through the comments below. Subscribe to our Newsletter. Get social media tips and hacks.